photopolymer | Stamp Right Up! Hiya Stampers! This new Stampin Up Occasions catalog is seriously amazing. Every single stamp set I ordered I have been able to make so many great projects with. 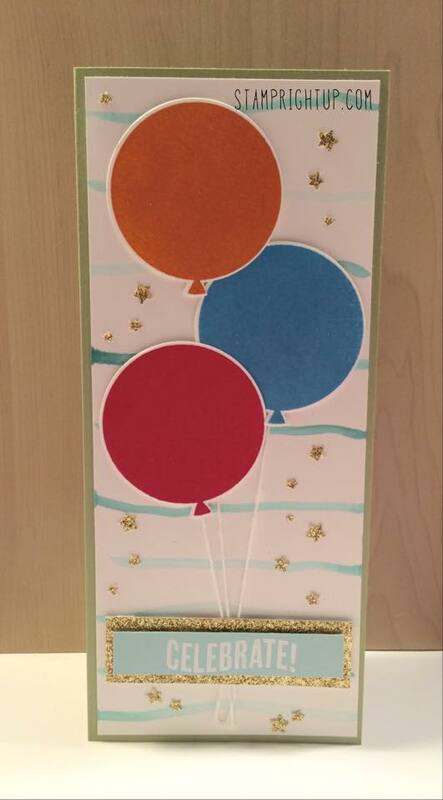 Here is one of my most recent project 7 accompanying video tutorial: a large Celebrate balloons card. It’s long and tall, but fits perfectly into a standard business size #10 envelope and can be sent in the mail for a regular postage stamp (no additional cost)! It’s that time again stampers! The newest release of Stampin Up’s latest catalog is here. But, the even BETTER part? You can get FREE stuff from now until March 31. No, you’re not dreaming – it’s that awesome!! How do you get FREE stuff? It’s Sale-A-Bration Time! With so many ways to participate in Sale-A-Bration and get FREE products, you can’t miss out! Shop: Earn a FREE Sale-A-Bration product for every $60 you spend between January 6 and March 31. Host: Hostess Benefits are great during Sale-A-Bration. Your customers can host Sale-A-Bration parties for a chance to earn discounts and extra host dollars! Join: It’s a great time to join Stampin’ Up! as a new demonstrator! New demonstrators can choose one of the following limited-time Sale-A-Bration offers when joining between January 6 and March 31. • Option #1: Receive a FREE Simply Created Project Kit from the occasions catalogue with your Starter Kit. • Option #2: Receive 2 FREE Sale-A-Bration items of your choice with your Starter Kit. Without further ado – here is a listing of ALL the new products in the Stampin Up 2015 Occasions catalog – click to view product details, or click here to view the catalog online. I am happy to mail you a copy of the catalog anywhere in Canada, please email or call me to request your copy. 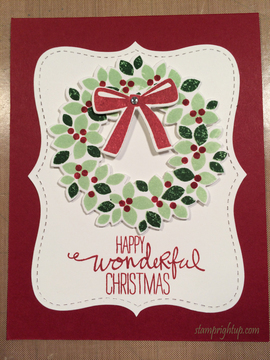 Wondrous Wreath: Photopolymer Fun with Stampin Up! 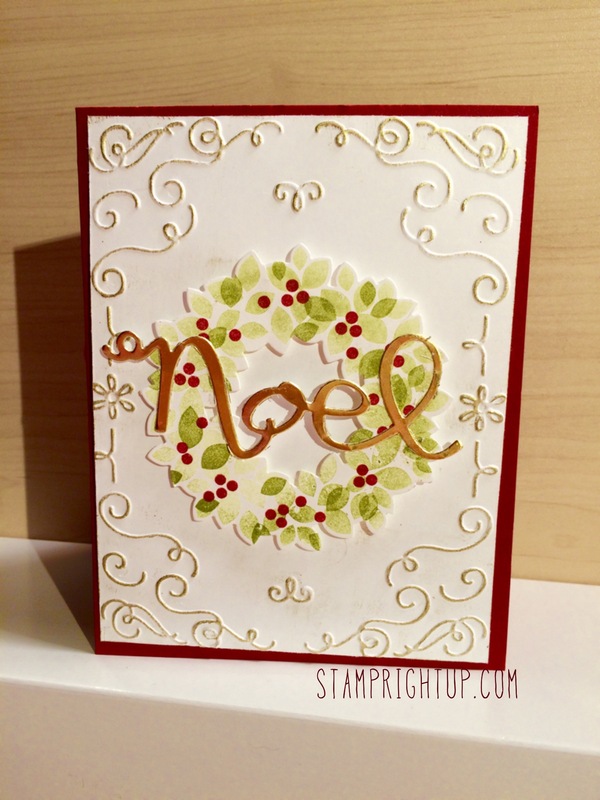 I just LOVE this photopolymer stamp set from Stampin Up in the Holiday 2014 catalog!! I have seen sooo many pins using this set, and I love the fact that it’s not just for Christmas! I can ship anywhere in Canada, including Quebec! 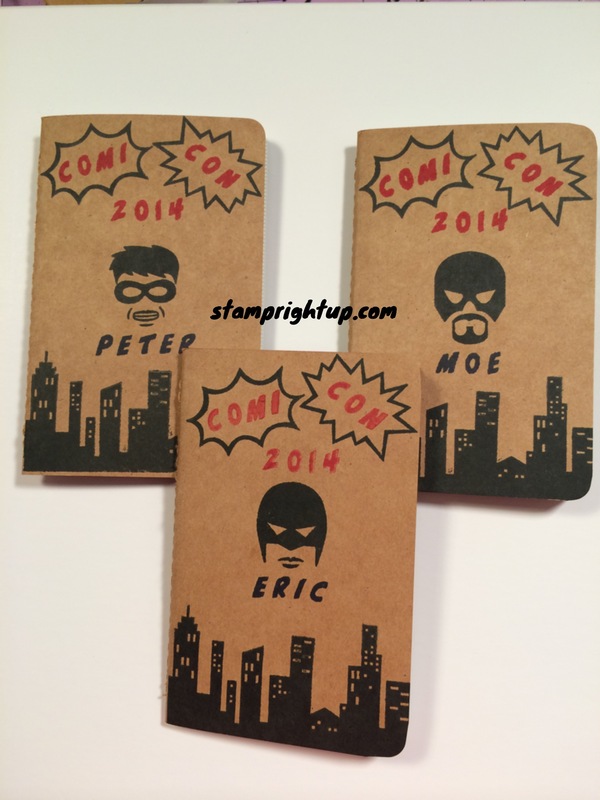 As soon as I saw the Calling All Hero’s photopolymer set by Stampin Up I knew i had to have it!! I had so many ideas on what to do with it – and i loved that it worked for both boys AND girls. And the mini craft journals project began. I started planning weeks before and used scraps of computer paper to test layouts – I think I tried about 6 different designs before I came up with this one. I just love that this set is photopolymer!! Being completely transparent I was able to position the letters perfectly without having to use a position-er or make costly mistakes! Here is the finished journals – I made one for each of them and personalized it with their names. I included pop rocks and candy with them in the package when I sent them too. Here’s the best part – you can make these too!! It was easy once I knew the layout – just needed one stamp set and two basic ink colors! Here is a list of what I used – and don’t forget you can shop online 2-4-7 by clicking on any of the links.